Baseball America is reporting that former Thunder starter Jay Stephens has signed a deal with the Philadelphia Phillies. Stephens was drafted in the sixth round by the Yankees in 2003, and was brought along pretty slowly considering the numbers he put up. Over the past two years, Stephens was treated as an organizational guy, shipped back and forth wherever he was needed. The soft-spoken Ohio native made 13 appearances for the Thunder last season, including eight starts. He posted an ERA under three and struck out 21 batters while walking 14 in 45.1 innings of work. He also made his Triple-A debut last year, appearing in three games with Triple-A Scranton in early May. I’d written many times last year that I think Stephens is a better pitcher than how he was ultimately handled by the organization. Do I think he’s a future big leaguer? Maybe yes, maybe no…but he deserved more than being on the organizational shuttle. I’d imagine he’ll start next season at Double-A Reading, and hopefully he’ll get a real opportunity to progress through the Phillies system. 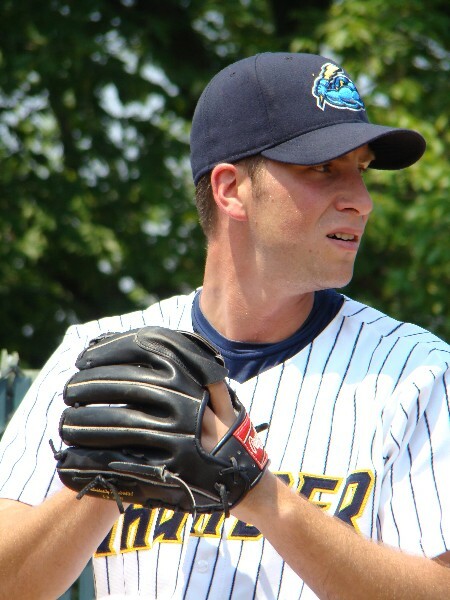 Brett Smith, who fired a five-inning no-hitter on July 4th, 2007 at Waterfront Park, was among ten players the Yankees have released. According to Baseball America, Smith is joined by : RHP Pablo Hernandez, RHP Alejandro Martinez, RHP Paul Patterson, RHP Jeff Williams, LHP Edwin Walker, 1B Chris Smith, OF Tommy Baldridge, OF Mitch Delaney and OF Chad Gross. Additionally, the team has signed former Oakland farmhand OF Javier Herrera. Of the ten players released, Smith is the only to have played for the Thunder. 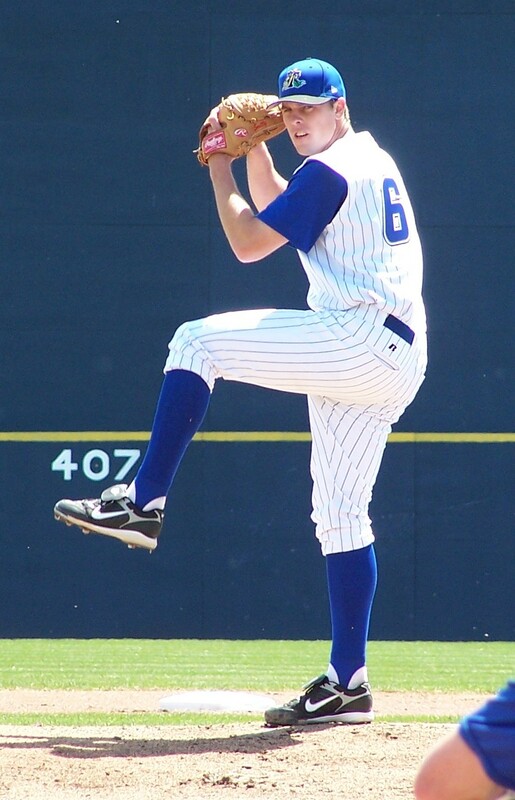 After a strong start to his 2007 season, Smith was sent down to High-A Tampa in mid-July despite a 7-4 record and 2.97 ERA, complete with a .192 batting average against. Things spiraled downward from that day forward, as Smith struggled in Tampa and missed all of 2008 and most of 2009 with an arm injury. He returned to official action in early July, 2009, appearing in four games with the GCL Yankees. He finished the year with Low-A Charleston, going 0-1 with a 3.00 ERA in three starts, but he walked nine batters and struck out just three in 15 innings of work, hitting two batters and firing three wild pitches along the way. Smith was the Yankees second round pick, 42nd overall, in 2004. His career once appeared to be very promising. Now, you have to wonder if it’s over. Hernandez last popped up in 2007 with one of the Yankees Dominican Summer League squads, making one appearance. 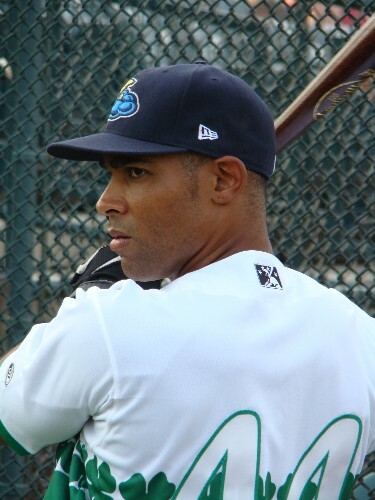 Martinez appeared in two games for the Yankees Gulf Coast League affiliate last year, his first outings on American Soil after spending 2006 and 2008 in the DSL. 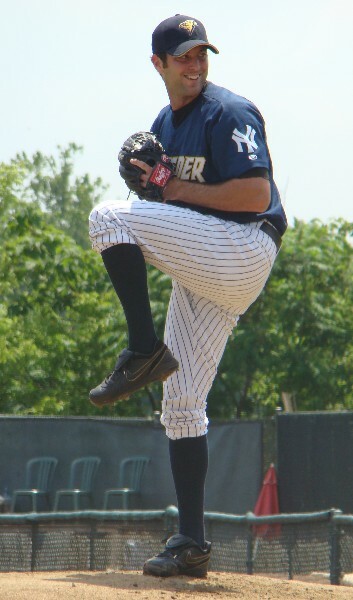 Patterson pitched for the Yankees farm system in 2006, 2007 and 2009. He never got any higher than Low-A Charleston, where he made two appearances last year. Williams was signed out of independent ball last year and made 13 appearances for Low-A Charleston and one with Triple-A Scranton at the end of the year. Walker was also signed out of independent ball last year, and he was 2-0 with an 0.78 ERA in 14 appearances with Low-A Charleston in 2009. Smith had two dismal seasons with the GCL Yankees, hitting a combined .127 with two home runs and 13 RBI in 53 games. Baldridge spent two seasons in the Yankees farm system, splitting time between Low-A Charleston and High-A Tampa last year. He ends his tenure in the Bronx Bombers organization as a career .225 hitter. Delaney also spent two rather uneventful years with the Yankees Gulf Coast League affiliate, hitting .203 with three home runs and 22 RBI in 66 games. And Gross spent two years in the Yankees farm system as well. Last year, he hit .145 with a home run and four RBI in 21 games with Short Season-A Staten Island. So, uhhh…for Thunder fans, it was more or less Smith and nine guys you’ve never heard of, right? Right. The Florida Marlins have re-signed former Thunder starter and Yankee Matt DeSalvo, who still ranks as one of the most memorable athletes to interview in my career. The Kansas City Royals have signed former B-Mets stud Philip Humber, while the Philadephia Phillies re-signed former Thunder backstop Kevin Nelson. The Pirates also re-signed former Thunder slugger Brian Myrow, while former Portland Sea Dogs David Pauley and John Otness went to the Mariners and Rangers, respectively. Imagine my lack of surprise when I found out that the Yankees had once again dealt parts of their future for a chance to win now. It was something that the team had gotten away from in the middle of the decade, hanging on to a good portion of their farm system and seeing what became of them. But, in recent weeks, the team has fallen back into the trap of sacrificing later for now. First the Curtis Granderson deal, and now this one. The Yankees have acquired Javier Vazquez and Boone Logan from the Atlanta Braves in exchange for young outfielder Melky Cabrera, promising lefty reliever Mike Dunn and 19-year-old righty Arodys Vizcaino. This would be the same Vazquez who fell apart in pinstripes in the second half of the 2004 season. But is it really that bad of a deal? Yes, the Yankees have unloaded a ton of prospects in these deals, but they’ve managed to hold on to the majority of their upper echelon guys. Getting rid of Austin Jackson may come back to bite them in the end, but other than that, they don’t appear to have given up too much. But it’s still difficult to see the team parting with guys like Mike Dunn — who would have had a great opportunity to help the Yankees in the big leagues this year — for someone else’s lefty reliever. Maybe it’s just because I’ve followed these guys for the past few years, but it’s always preferable to see any team stay with their homegrown talent. Your thoughts on the deal? Before 2009: For as much as it feels like I’ve written about Alan Horne over the past few years, it’s hard to believe that he only has four professional seasons under his trademark John Deere hat. 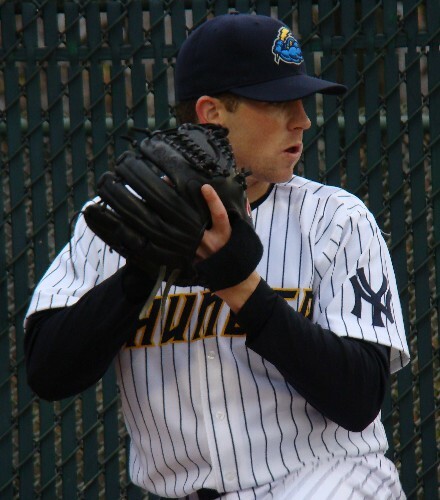 Drafted by the Indians in the first round all the way back in 2001, Horne wouldn’t debut professionally until 2006, after being drafted by the Yankees. He debuted at High-A Tampa, which was an indication of the kind of expectations that the organization had of their highly touted pitcher. His season was somewhat of a mixed bag, as he was third in the Florida State League in both walks and strikeouts. In 28 appearances, including 26 starts, he posted a 6-9 record and 4.84 ERA. 2007 was where Horne established himself as a possible future Yankee, going 12-4 with a 3.11 ERA in 27 starts in Double-A Trenton. He led the Eastern League in both ERA and strikeouts (165) and was deservingly named theleague’s Pitcher of the Year. But everything started to fall apart the following season. Horne started out 2008 in Triple-A Scranton, just one level away from wearing Yankee pinstripes. He never got there. Biceps pain caused Horne to leave an early season start, and he ultimately needed to undergo surgery to fix a torn rotator cuff. He simply hasn’t been the same since. 2009: For all intents and purposes, Horne would most likely rather I not write about what happened during his 2009 season. Or his 2008 season, too. For the last two years now, Horne has essentially wasted key years of his career thanks to battling injuries. In 2009 specifically, Horne started the season a month late, being assigned to Trenton in early May. He made five appearances, including four starts, and didn’t look like the guy who tore up the Eastern League two years earlier. To be honest, he got rocked. An 0-3 record, 11.15 ERA, 16:13 BB/K ratio and .352 average against are all evidence of that. Horne finished the year trying to get back to Trenton with the Yankees affiliate in the Gulf Coast League and Low-A Charleston, but never ended up making it back. After 2009: Assuming he’s healthy — which unfortunately hasn’t been a safe assumption with Horne over the past few years — Horne could start the season in either Trenton or Scranton. He’s still regarded as a prospect, although his time is clearly running out. He’ll be 27 years old when the season starts and has only eight games of Triple-A experience. Simply put, Horne cannot afford to miss any starts this year. Out of sight, out of mind. And a once promising career is now perilously close to being permanently derailed. Anyone who’s ever met Horne is unlikely to have a bad thing to say about him. He’s quite possibly one of the most laid back athletes I’ve ever met, and his “aw, shucks” attitude off the field can often overshadow what a competitor he is on the mound. I remember getting to the ballpark about six hours before gametime to cover Horne’s simulated game, and even though it was just that, a simulated game, I kept track of a few things that day: Balls, strikes and expletives. It was that amount of care and intensity that played a big role in Horne’s magical 2007 season. And, if he stays healthy, it’s why a lot of people continue to believe in him despite a 24-month stretch where he’s given people little reason to do so. Before 2009: Somehow, I doubt you care what Noah Hall did in 1996, his first professional season. So, in lieu of writing up the past 13 seasons of Hall’s career, I’ll give you a brief summary up until 2007. Hall was drafted in 1995 by the Expos and spent five seasons in their organization, topping out at Double-A. Over the next six seasons, he played in the Reds, Blue Jays, White Sox and Orioles organizations, as well as a return to the Expos system in 2003. In 2007, Hall found himself in independent baseball for the second time in his career, this time starting the season with the Atlantic League’s Somerset Patriots. After just one game, Hall was signed by the Yankees organization and assigned to Double-A Trenton in early May. He spent the entire season with the Thunder, hitting .292 with nine home runs and 50 RBI and helping Trenton win their first Eastern League title. In 2008, Hall split time between the White Sox and Mariners organizations, seeing some time in Triple-A for the third time in his career. 2009: Hall would again come back to independent baseball to start the 2009 season, again beginning the year with the Somerset Patriots. He’d last exactly one month with Somerset this time, before the Yankees came calling again. He would again be assigned to the Thunder, and didn’t quite put up the numbers he had back in 2007, this time posting a .245 average with three home runs and 33 RBI. He also battled injuries, but once again served as a positive influence on some of the younger players on the team. 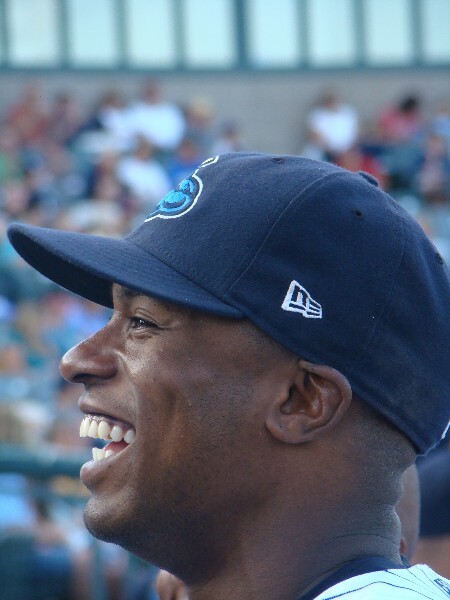 After the Thunder season ended in early September, Hall returned to Somerset and helped them become the first team in Atlantic League history to win back-to-back championships. After 2009: Hall’s status for 2010 is uncertain. Will he play? If so, where? Would he go back to independent ball? Would an organization take a chance on him? One thing I do know is that Hall is one of the best guys I’ve ever covered over my seven-year career, and it’s been a pleasant surprise to see him pop up in my various beats over the past few years. Seems wherever he went, I went last year. When the time is right, Hall would make a great coach someday. His easygoing demeanor and knowledge of the game would make him a perfect candidate for this, and I know that’s something he’s been thinking about over the past few seasons as well. The Yankees organization would be wise to keep this in mind if any positions should open up over the next few seasons. (PR) (Trenton, NJ) – The Trenton Thunder, the Double-A affiliate of the New York Yankees, have announced their coaching staff for the 2010 season. Tony Franklin (Manager) will be back for his fourth consecutive season in Trenton. The Thunder will have the same trio of coaches joining Franklin. Former Major Leaguers Tommy Phelps (Pitching Coach) and Frank Menechino (Hitting Coach) will continue in their respective roles for the Thunder. Also, former Eastern Leaguer Vic Valencia (Coach) will be back for his second season, and Thunder trainer Tim Lentych will return for his third season. The only new addition to the staff will be Strength and Conditioning Coach Jason Meredith. Franklin guided the Thunder to back-to-back Eastern League Championships in 2007 and 2008. The Thunder went 69-72 under Franklin in 2009. In 2008, the Thunder finished the regular season with the best record in the Eastern League (86-54). While in Birmingham, Franklin was the manager of former Heisman Trophy winner Bo Jackson. Before Trenton, his last managerial stint came with Las Vegas in 2000. Franklin filled in for Duane Espy and guided the Stars to a 43-50 mark. Franklin was honored by San Diego in 1997 with the Jack Krol Award for Outstanding Minor League Instruction in the Padres’ organization. He and his wife, Haiba, have three children Derrick, Wayne and Shelby. Tommy Phelps will embark on his second season as the pitching coach for the Thunder. In 2008, he was the Yankees Minor League Rehabilitation Pitching Coach. Phelps is a former Major League pitcher, and also has spent time in the Yankees Minor League System. He pitched for the Florida Marlins in 2003 and 2004. During 2003, he went 3-2 with a 4.00 ERA in 27 games (seven starts) for Florida. He was part of a Marlins team that won the World Series over the Yankees. He pitched in 29 games for Milwaukee in 2005. He went 7-4 with a 4.45 ERA in 2006 with Columbus (Triple-A affiliate of the New York Yankees). Phelps was originally an 8th round pick by Montreal in the 1992 draft. Frank Menechino will return as Trenton’s new hitting coach. This is his second season as Trenton’s hitting coach. Menechino played for the Oakland Athletics (1999-2003) and the Toronto Blue Jays (2004-2005). Menechino had his best season with the Athletics in 2001. He hit .242 in a career-high 139 games with 12 home runs and 60 RBIs. Menechino spent time in the Yankees Minor League system with Columbus (Triple-A) in 2006. During 2008, he played professionally in Italy. Vic Valencia re-joins the staff as a coach. He played in the Yankees Minor League system from 1995-2000. During 1999 and 2000, he spent time with Norwich (Double-A). In 1999, he hit 22 home runs and contributed 72 RBIs for the Navigators. He also played in the Eastern League with Akron (2003-04) and New Hampshire (2004). Tim Lentych returns to Trenton for his third season after winning the 2009 Athletic Trainer of the Year in the Eastern League. He spent the prior three seasons as the trainer for the Charleston RiverDogs (Low-A affiliate of the New York Yankees). In 2004, he began his stint with the Yankees organization as the trainer for the Staten Island Yankees (New York-Penn League). Lentych received his B.S. from Ball State University in 2002, and his M.S. from the University of Tennessee in 2004. He has completed internships in athletic training with the Baltimore Orioles in 2001, and the Tennessee Smokies (former Double-A affiliate of the St. Louis Cardinals) in 2003. Chad Jennings has got the story — big surprise there, the guy has been on top of it ever since the day he got hired — on Eric Duncan signing a minor league deal with the Atlanta Braves. The former first round pick played a season and a half in Mercer County, hitting .235 with 19 home runs and 61 RBI in his only full season with the Thunder in 2005. He split the following year between Columbus and Trenton, getting sent down from Triple-A after never being able to get going there. Turns out, he was never able to get going in Triple-A, period. In the three years that followed, Duncan seemed to get worse. His average fell from .241 to .233 to a mind-boggling .204 in 2009. In 1,171 at-bats over his last three seasons in Scranton, he hit just 26 home runs and had just 145 RBI. His OPS of .527 last year was the worst of any player on the SWB Yankees who played in over 30 games. The talent is there for Duncan — he was once the Arizona Fall League MVP, and you don’t become a first round pick out of luck — but he was just never able to put it all together. He’ll look for a fresh start in the Braves organization, and will most likely begin the season in Gwinnett. — Chad Jennings has got the scoop over at the LoHud Yankees Blog, but the Yankees acquired Jamie Hoffmann from the Dodgers in the Rule 5 Draft. He’s a big outfielder who can swing the bat and plays above average defense. — The Yankees also lost two Thunder alumni, as Zach Kroenke was taken for the second year in a row, this time by the Arizona Diamondbacks, and Seattle selected Kanekoa Texeira. I thought Kroenke could have stuck with the Marlins last year, so I don’t even know what to think about his chances with Arizona. They just gave up a couple relievers, so maybe there’s room for him. As for Texeira, I don’t think he’s big league ready just yet…but considering the Yankees ran his arm into the ground last year, I doubt he’d mind a change of scenery, either. I wouldn’t be surprised if that look has been on the face of Austin Jackson ever since finding out he’s been dealt to the Detroit Tigers. And for some Yankees fans, they probably feel the same way. After all, Curtis Granderson has had three straight 20 home run seasons, and hit a career high 30 last season. They also got something in return for Phil Coke, whose departure gives Mike Dunn a very, very real opportunity to make the big league roster out of camp next year and Ian Kennedy, whose status has seemed to drop ever since he cracked the big leagues. But having covered Austin Jackson for an entire season, what’s to say that Jackson couldn’t have become Curtis Granderson? The comparisons that we heard a lot in Trenton were that Jackson was a newer version of Devon White. But if he could have developed his power a little more, it’s possible he could have become Granderson 2.0; an exciting above average defensive outfielder with a good bat, decent pop and decent speed. He would have been a cheap, in-house option instead of having to give up tomorrow for today yet again, something the Yankees have said time and time again they wouldn’t do. Only time will tell if Austin Jackson can have a big league career comparable to what Granderson has had so far. I believe he can (although I doubt he reaches Granderson’s power numbers), and it seems he’ll get every opportunity to do that in the big leagues in 2010 with Detroit. It’s just hard to fathom that after all the deals that got nixed because Jackson was asked for, this was the one they eventually shipped him away in. Before 2009: The Yankees drafted Hacker all the way back in 2002, selecting him in the 23rd round. He made three scoreless appearances with their Gulf Coast League affiliate that year, which is where he’d return in 2003. He split that year between the GCL and Staten Island, but finished the year on the DL with what was labeled as an elbow strain. Turns out, it was a bit more than that…Hacker missed all of 2004 after undergoing Tommy John surgery, and wouldn’t pitch again until May of 2005, when he joined Low-A Charleston. But he only lasted two months there, going on the DL with a shoulder injury that would keep him out for the remainder of 2005 and all of 2006. Hacker’s career finally got on the right track in 2007. He started the year back in Charleston and pitched very well, posting a 9-2 record with a 2.56 ERA in 17 starts before being promoted to High-A Tampa for the first time in his career. He got knocked around a little bit with Tampa, going 3-3 with a 6.10 ERA in nine appearances, and was called up to Triple-A Scranton at the end of the year for a one start cameo. The Duncanville, Texas native started his 2008 season in Tampa, and got off to a great start, posting a 2-2 mark with a 1.87 ERA in nine starts before earning his first call-up to Double-A in the end of May. Hacker quickly emerged as one of the most consistent starters on the staff, going 7-4 with a 2.76 ERA in 17 starts and helping the club win their second consecutive Eastern League title. 2009: Hacker, who was placed on the Yankees 40-man roster prior to the start of the season, was finally starting to open some eyes in the organization. Brian Cashman had mentioned him by name several times in 2008, and it seemed Hacker had a real chance to crack the big league roster at some point in the season, whether it be in September or otherwise. He was named the Thunder’s Opening Day starter, and lasted just three starts before being promoted to Triple-A Scranton. After three poor starts up there, the Yankees suddenly ran out of patience…something that hadn’t been a problem in their handling of Hacker in the past. Hacker was DFA’d and eventually traded to — where else — Pittsburgh for Romulo Sanchez. Hacker pitched well for the Pirates Triple-A affiliate in Indianapolis, going 5-5 with a 4.02 ERA in 21 starts with the club. He earned a September call-up to the big leagues, and made his big league debut in front of approximately 1,000 people in Pittsburgh. He made three big league appearances in all, and was taken off the 40-man roster this off-season. After 2009: Hacker’s status in the Pirates organization is somewhat of a mystery, and he’ll have to work hard to get back on the 40-man roster. I really, really enjoyed covering Eric during his time with the Thunder. We still keep in touch via e-mail, and he was kind enough to call me last off-season to give me his thoughts on having been added to the Yankees 40-man roster. He was a soft-spoken, but friendly guy…and I hope the Pirates give him another chance in the big leagues. If nothing else, he should get an opportunity in Triple-A in 2010, and that seems to be more than the Yankees were willing to do for him after having been so patient with him as he recovered from a variety of injuries.